Be the first to review this 2019 GMC Sierra 1500 Limited. Redesigned for the 2019 model year, like its Chevrolet Silverado close cousin, GMC’s Sierra has lost weight while growing a bit, expanding interior space. Without attempting to be Number One in towing capacity and the like, this full-size pickup stresses smart, easy-to-use modern technology. New features include a MultiPro six-way, two-piece tailgate. Standard on SLT, AT4 and Denali Sierras, it can swing and fold in two sections for easier loading. A newly optional carbon-fiber cargo bed is said to be tougher and lighter than some competitors provide. New options also include a rear camera mirror and a multi-color head-up display. Sierras come in regular-cab, extended-cab, and crew-cab configurations. Regular-cab trucks have a 126.5-inch wheelbase. Extended- and crew-cab models ride a 147.4-inch wheelbase. GMC claims the longer-wheelbase version provides nearly 3 additional inches of back-seat legroom. Crew cabs have been the most popular Sierra body style. GMC offers six Sierra trim levels: base, SLE, Elevation, SLT, AT4, and Denali. Eventually, GMC plans to offer the 2019 Sierra with a broad range of powertrains, including a new turbo four-cylinder, a gasoline V6, and a turbodiesel inline six-cylinder. Initially, however, only Sierras with gasoline V8s have been available. The 5.3-liter V8 develops 355 horsepower and 383 pound-feet of torque, driving an 8-speed automatic transmission. For greater muscle, an optional 6.2-liter V8 generates 420 horsepower and 460 pound-feet, mating with a 10-speed automatic. The 4.3-liter V6 makes 285 horsepower and 305 pound-feet of torque, working with a 6-speed automatic transmission. GMC’s 2.7-liter turbo six generates 310 horsepower and 348 pound-feet. Rear-wheel drive is standard, with four-wheel drive available. Neither the National Highway Traffic Safety Administration nor the Insurance Institute for Highway Safety has crash-tested a 2019 Sierra. NHTSA gave the 2018 model five-star ratings overall and for frontal and side impacts. Sierras can get such features as a rearview-mirror camera, but cutting-edge active-safety technology is limited to top models. Blind-spot monitoring costs extra on every model except Denali. Forward-collision warning with automatic emergency braking, a prominent safety feature, is optional only on SLT, AT4, and Denali, bundled with adaptive cruise control and active lane control. The camera mirror offers a clear view to the rear, but with rapidly-moving images. A multiple-viewtrailer camera also is available. The MultiPro tailgate drops down with damped assist like a normal tailgate, but its center section can fold to create a standing-height desk or a wide step. Base V6 ($33,500 with 2WD, $36,800 with 4WD) contains the 4.3-liter V6 engine, 6-speed automatic, power locks and windows, air conditioning, 17-inch wheels, Bluetooth, and 7.0-inch touchscreen with Android Auto and Apple CarPlay compatibility. Base work trucks have vinyl flooring, a front bench seat, and cloth upholstery. SLE ($37,800 with 2WD, $41,100 with 4WD) substitutes a 2.7-liter turbo four with 8-speed automatic, heated power mirrors, remote keyless entry, and lift-assisted tailgate. Powertrain options include a 5.3-liter V8 or a 3.0-liter turbodiesel with 10-speed automatic. Elevation ($40,300 with 2WD, $43,600 with 4WD) includes the 2.7-liter turbo, off-road appearance elements, body-color trim, and 20-inch wheels. A 5.3-liter V8 or turbodiesel engine may be substituted. An optional X31 Off Road Package for 4WD adds a locking rear differential, hill-descent control, skid plates, and two-speed transfer case. SLT V8 ($44,300 with 2WD, $47,600 with 4WD) gets the 5.3-liter V8, along with dual-zone automatic climate control, a high-definition rearview camera, satellite radio, power front seats, leather upholstery, LED headlights, and six-way tailgate. 4WD AT4 V8 ($50,800) comes with 5.3-liter V8 and four-wheel drive, adding an off-road suspension with 2-inch lift, two-speed transfer case, skid plates, locking rear differential, Rancho shocks, 18-inch wheels with, hill-descent control, and two-tone leather. A 6.2-liter V8 or turbodiesel may be substituted. 147″ V6 ($35,900 with 2WD, $39,200 with 4WD) has V6 engine and four conventional doors. 147″ SLE ($40,200 with 2WD, $43,500 with 4WD) is similar in content to Double Cab SLE. 157″ SLE ($40,500 with 2WD, $43,800 with 4WD) rides longer wheelbase. 147″ SLT V8 ($46,700 with 2WD, $50,000 with 4WD) is similar in content to Double Cab SLT. 157″ SLT V8 ($47,000 with 2WD, $50,300 with 4WD) rides longer wheelbase. 147″ AT4 V8 4WD ($53,200) is similar to AT4 Double Cab, with four conventional doors. 147″ Denali V8 ($54,700 with 2WD, $58,000 with 4WD) comes with the 5.3-liter V8, heated/ventilated front seats, heated rear seats, trailer camera display, perforated leather upholstery, open-pore wood trim, and Bose audio. Lane-change and blind-zone alerts are standard. 157″ Denali V8 ($55,000 with 2WD, $58,300 with 4WD) rides longer wheelbase. Unpainted gray plastic outlines wheel wells. A slight upward kink behind crew-cab rear windows breaks up the long, straight shoulder line. Overall, Sierra styling isn’t far removed from that of nearly every full-size pickup. Denalis get huge dollops of chrome, while Elevation trim is body-colored. In its 2019 form, the Sierra body has lost up to 360 pounds. Space is bountiful in the Sierra Crew Cab, which promises expansive front-seat space. When fitted with a bench seat, three adults can fit up front. Basic interior design is shared with Chevrolet’s Silverado. Front bucket seats have flat cushions with low, but firm, bolsters ΓÇô comfortable for long journeys. Headroom has grown, compared to the previous generation. The center console can hold a laptop, and most Sierras offer readily-accessible charge points. Rear seats are more accommodating than before, with nearly 3 additional inches of legroom. Crew-cab back seats also benefit from wide door openings. Seat bottoms flip up to expand storage space. Abundant sound-deadening keeps the cabin relatively hushed. A shield-shaped control stack dominates the dashboard. Denali models boast plenty of brightwork, as well as discreet panels of open-pore wood and metallic trim for a high-end aura. The Sierra’s cargo bed adopted some cutting-edge construction to boost usable space. Depending on configuration, GMC offers a dozen tie-downs, a cast-in step, and LED bed lighting. Curvy roads might prove a bit challenging for this big pickup, but GMC’s Sierra is in its element on straight- pavement. That’s especially true when a potent V8 is burbling away. Towing capacity is lower than before, though still impressive. A Sierra with the 5.3-liter V8 accelerates strongly, even when the cargo bed is filled. Shifts from GMC’s 8-speed automatic are barely discernible. Road behavior compares favorably to other full-size pickups. Well-tuned ride and handling qualities strike a better balance than Ford’s F-150, which tends to suffer a bobbling, even bouncy, ride. Even on troublesome road surfaces, a Sierra remains composed and compliant. Most Sierras come with a familiar suspension setup, using leaf springs at the rear. With 22-inch wheels, a Sierra may get mildly jittery. Denali adaptive shocks are no longer magnetically-controlled, but they exercise more precise control. Maximum towing capacity is 12,200 pounds in extended-cab 4WD trucks ΓÇô some 300 pounds lower than the previous generation. All told, the 2019 Sierra amounts to a smart updating of GMC’s classic pickup performance plan. Aided by satisfying steering, an SLT with 5.3-liter V8, standard suspension, and 20-inch wheels can perform nearly any full-size truck task ΓÇô at a price well below the Denali. Despite making the 2019 Sierra lighter, gas mileage hasn’t changed much ΓÇô and in some cases, declined. A rear-drive Sierra with 5.3-liter V8 and 8-speed automatic is EPA-rated at 17/23 mpg City/Highway, or 19 mpg Combined. With four-wheel drive, it’s 15/21/17 mpg. A new fuel-conservation system for V8s can shut off gas to as many as six cylinders. With that same drivetrain, the AT4 edition is EPA-rated at 15/20 mpg City/Highway, or 17 mpg Combined. Substituting the 6.2-liter V8 reduces the estimate slightly, to 15/19/17 mpg. The V6 engine isn’t much thriftier, EPA-rated at 16/21 mpg City/Highway, or 17 mpg Combined. Four-wheel drive lowers that estimate to 15/20/17 mpg. In its lightened 2019 form, GMC’s Sierra scores well for utility and equipment, though some new features won’t be available immediately. Performance of V8 models, in particular, demonstrates traditional big-truck energy, though fuel economy falls short. 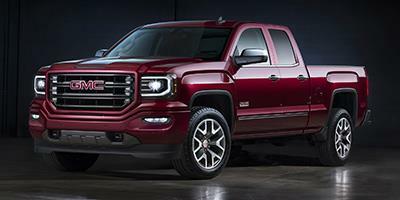 Denali models command big prices, making SLT trim the best bet for many buyers. The new six-way tailgate sets a new bar for flexibility. As the model year rolls on, GMC will have quite a roster of powertrains.